I’ve been an LMC customer since 2014 and I want to share my story. 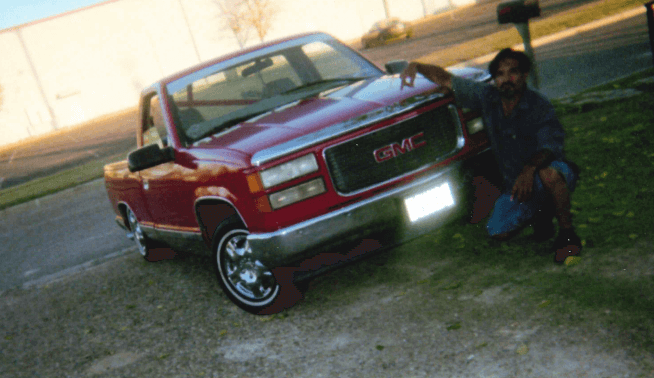 I came home to Plainview, Texas in 2011 and in my mother’s backyard was this 1998 GMC belonging to my dear mother which I later purchased. 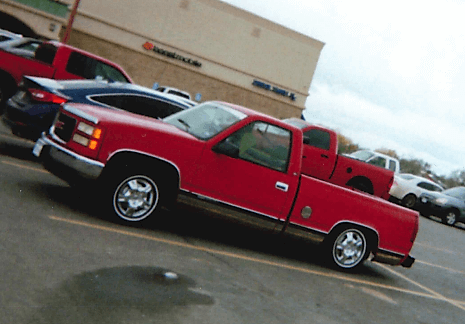 In combination I came across a street truck magazine and the dear LMC catalog which lit me to fire up my love for an American dream, to dress up my truck, a 1998 GMC, with LMC catalog accessories. Since then, I’ve installed a slip kit, c-notch kit, drop shocks which slammed my truck from the rear end inches from the floor. Two lts stance looks and feels so cool. I enjoy compliments and people taking pictures of the ’98 GMC. I just can’t get enough. The love for this American truck drove me to write this letter hoping that many other truck lovers like me also open up their hearts to loving and taking extra care of their trucks. Additionally, I am respectfully interested in joining the family and would like to share in my truck journey.